How can I edit my posts in forum ? I have another problem. I cannot edit my posts after 10 minutes from posting. "Edit" button disappears. I want to take part in MVGL's Gaming Challenge 2018 but I don't know how to update my progress. Same problem bruv, I wanna update my challenge list in real time. How much we gotta wait until we can edit our posts? 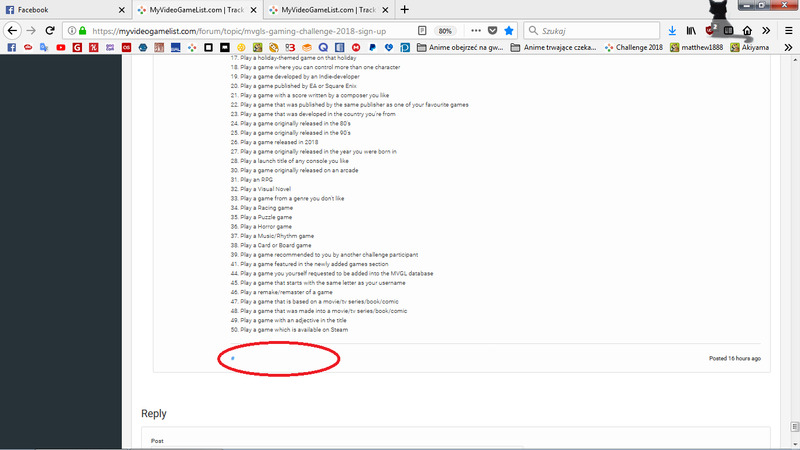 Forum posts may be edited for up to 5 minutes from their original post time. Then how can we update our progress with this short amount of edit time ?